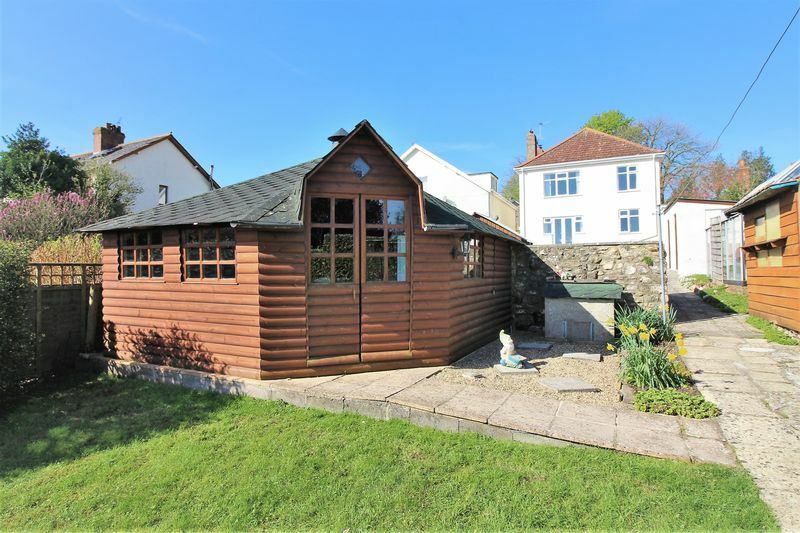 A well presented and detached 3 bedroom property situated on the outskirts of Chard with superb views from the rear aspect, mature gardens extending to approximately 100ft with Scandinavian style log cabin, garage and off street parking for 3 vehicles. 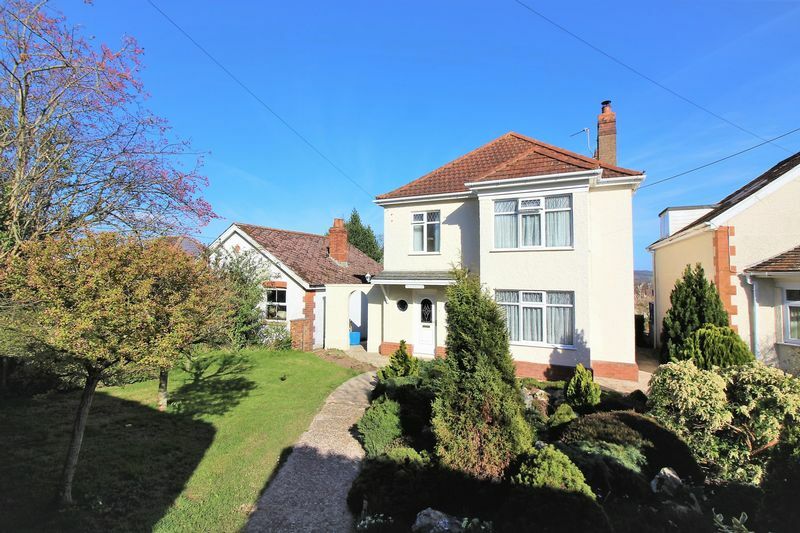 The property comprises; good size entrance hall, sitting room with bay window and multi-fuel burner, separate dining room with french doors opening to the patio, fitted kitchen, side lobby, WC and a first floor bathroom suite and separate WC. Further benefits from double glazing, gas fired heating and a detached workshop/store. 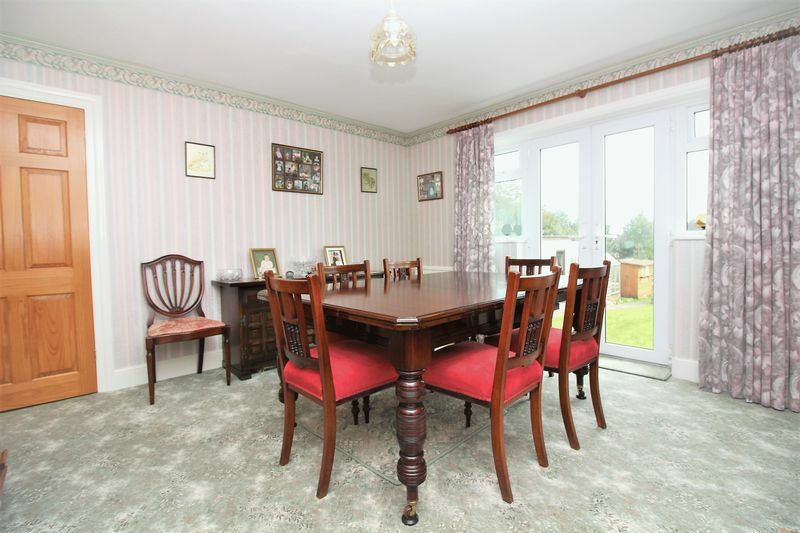 A good size hall with two feature double glazed circular windows to the front aspect. Stairs rising to the first floor, single panel radiator and a built-in under-stairs storage cupboard. Wall cupboard housing the electric fuse-box and meter. 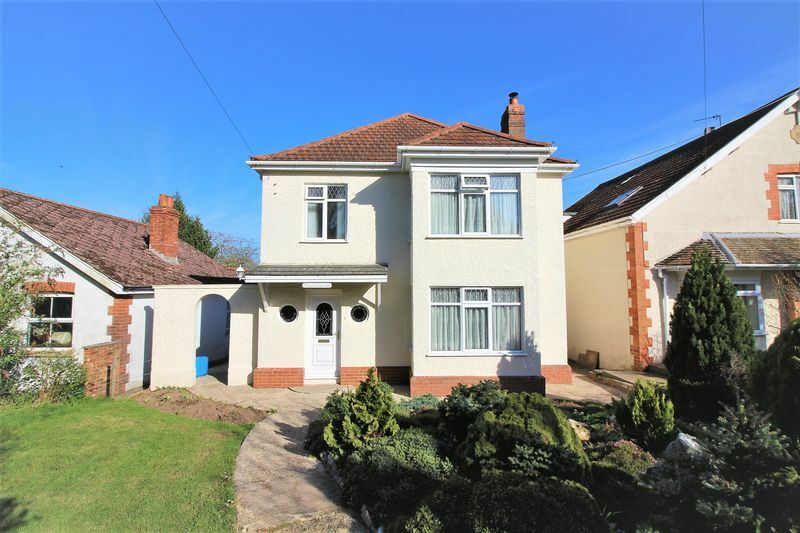 Double glazed bay window to the front aspect, feature fireplace with an inset Arrow multi-fuel burner on a tiled hearth. 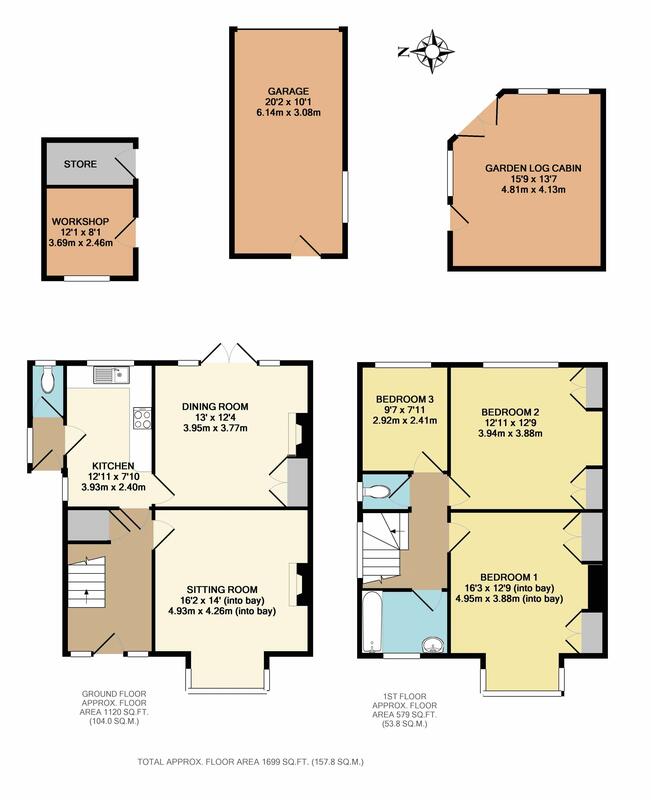 TV and telephone points, carbon monoxide alarm and coving. Double glazed windows and french doors opening to the garden. 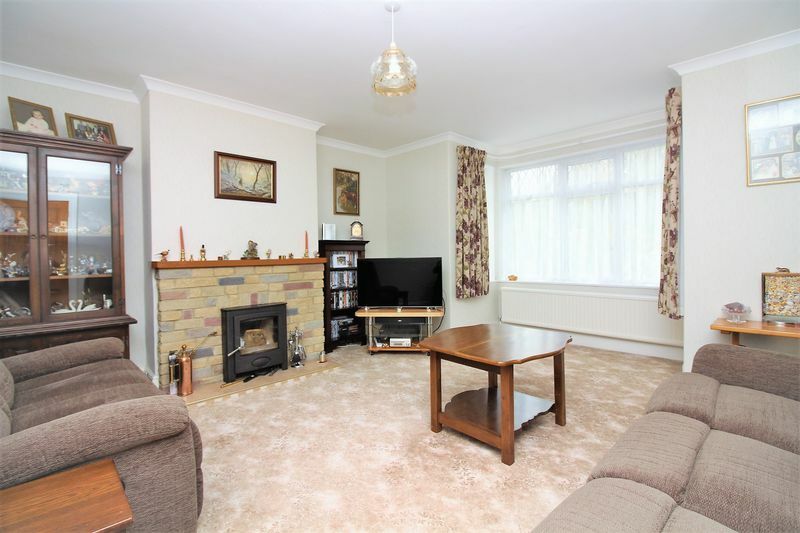 Fireplace with a gas fire and Baxi back boiler fuelling heating and hot water system. Built-in storage cupboard and a separate built-in display cabinet. Two double panel radiators. Fitted with a low level WC. Obscure double glazed window to the rear aspect. 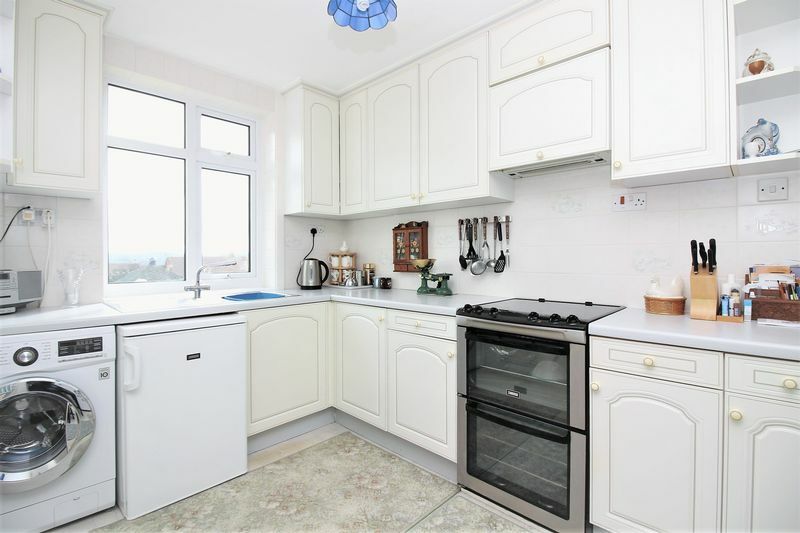 With a double glazed window to the side aspect, single panel radiator and a smoke detector. 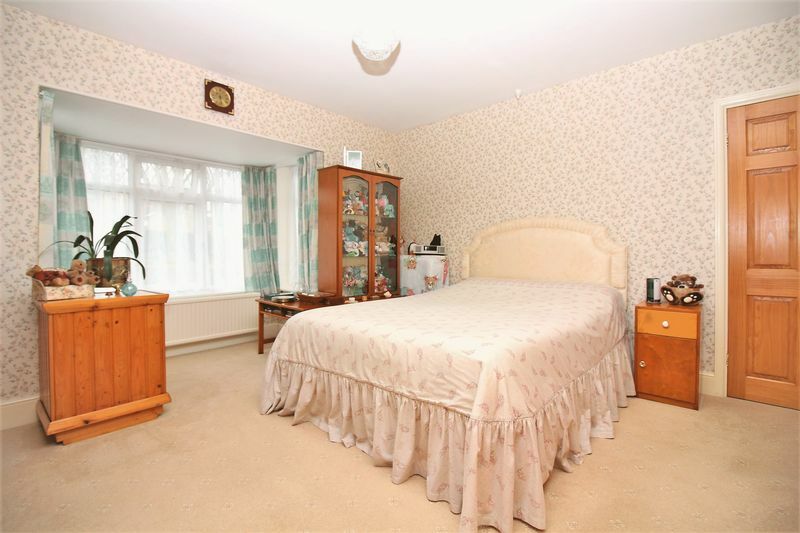 Double glazed bay window to the front aspect, two built-in double wardrobes and a double panel radiator. 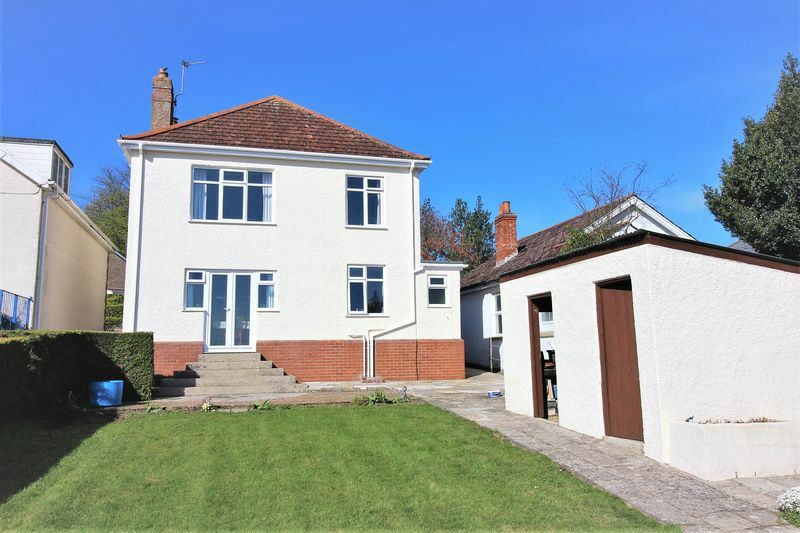 Double glazed window to the rear aspect with superb views over Chard and countryside beyond. 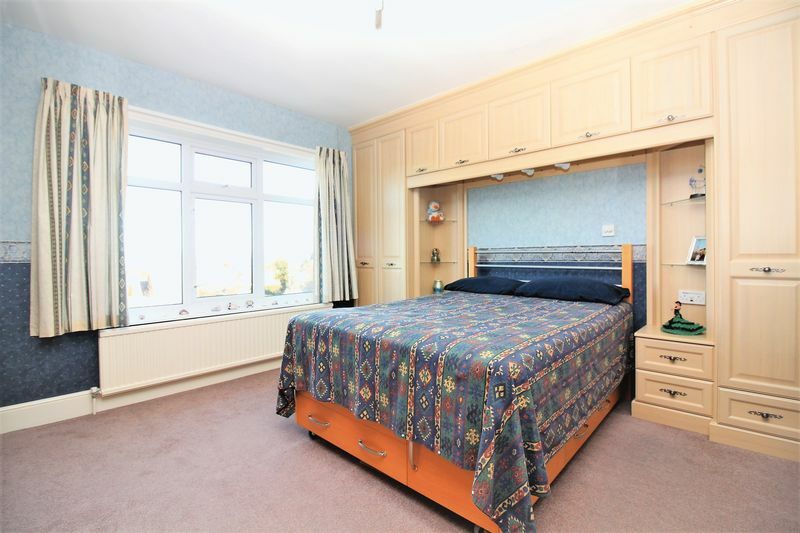 Built-in wardrobes with over bed storage boxes. Airing cupboard housing hot water cylinder tank. 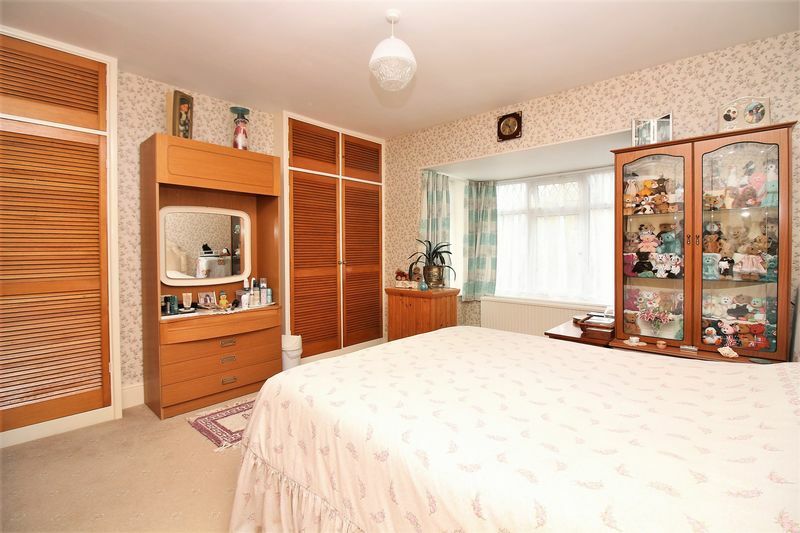 Double panel radiator. 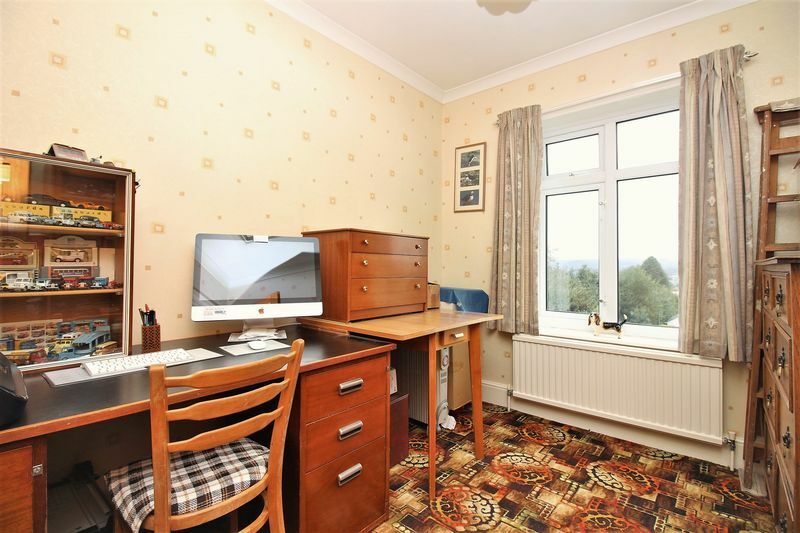 Double glazed window to the rear aspect with excellent views, double panel radiator and coving. Access to the roof space. 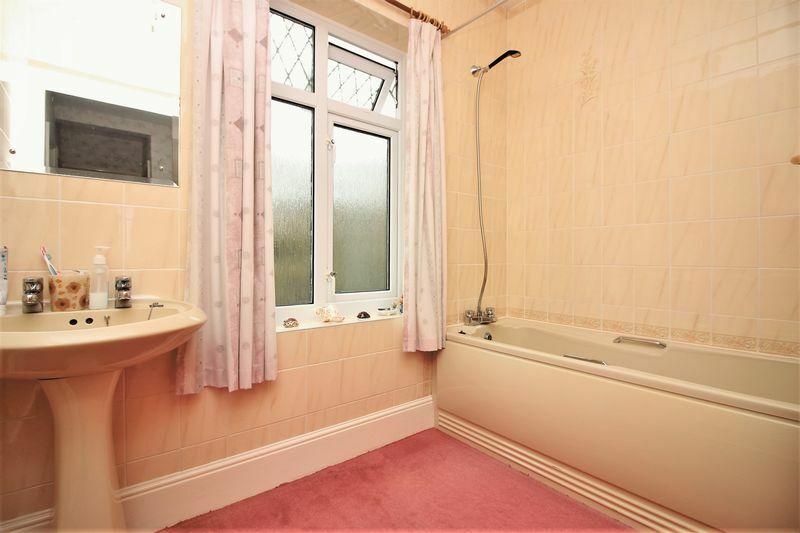 Fitted with a two piece suite comprising; panel bath with a mixer tap and shower attachment over. Wash hand basin and pedestal with taps over. Obscure double glazed window to the front aspect, fully tiled walls, double panel radiator and a wall light/shaver point. Fitted with a low level WC. Obscure double glazed window to the side aspect. 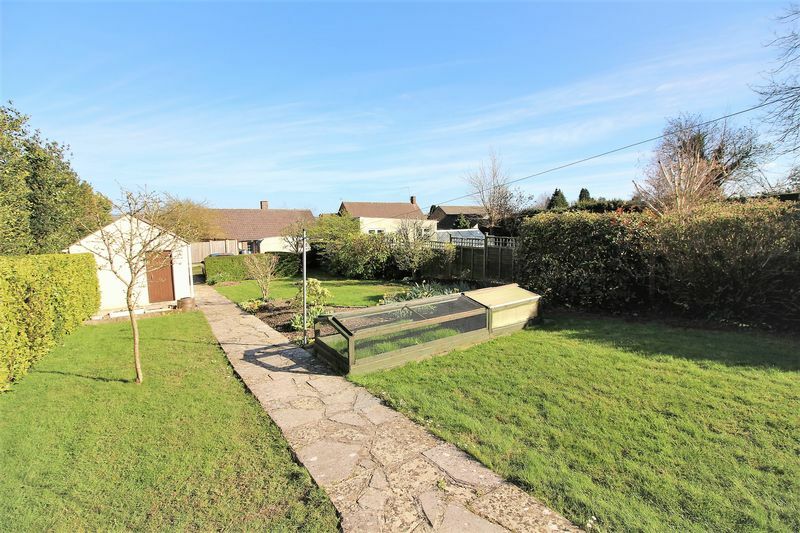 A detached single garage situated at the rear boundary and heading the three off street parking spaces. Up and over door and a rear pedestrian access door from the garden. Window to the side. 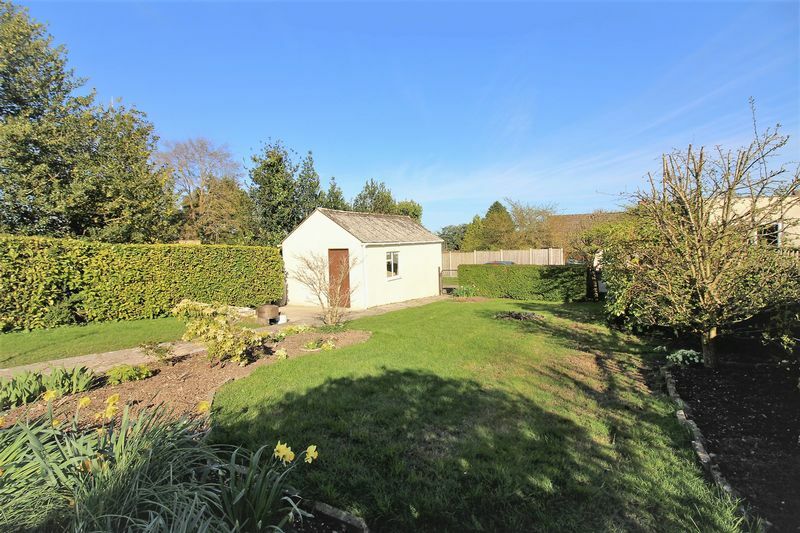 A detached outbuilding split into two sections. The workshop has a window to the side aspect. 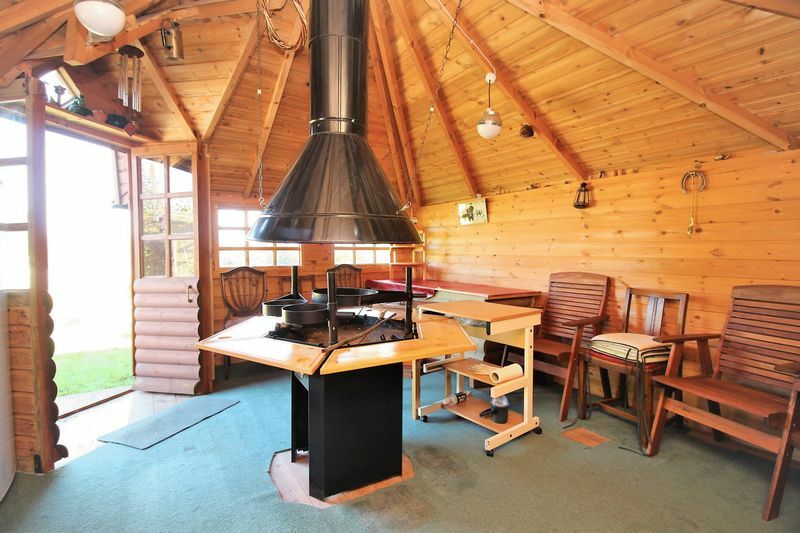 A substantial timber built Scandinavian style log cabin with central built-in BBQ. 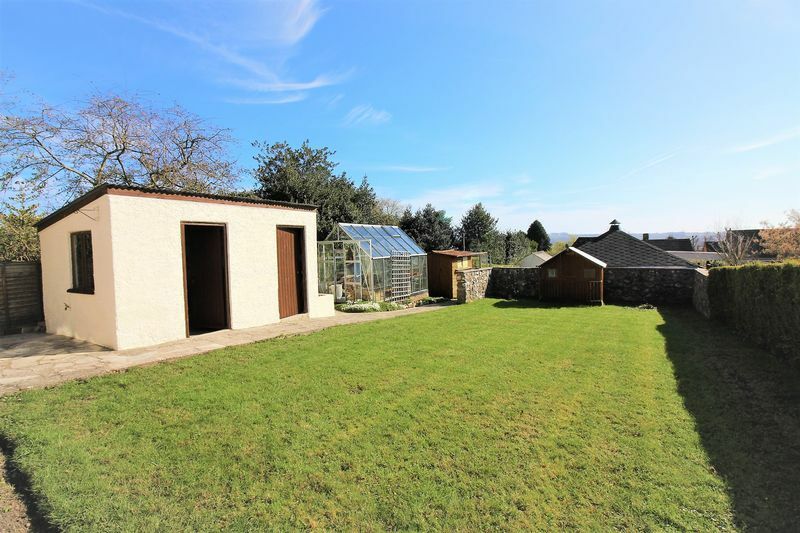 French doors open to the garden, power and light connected. 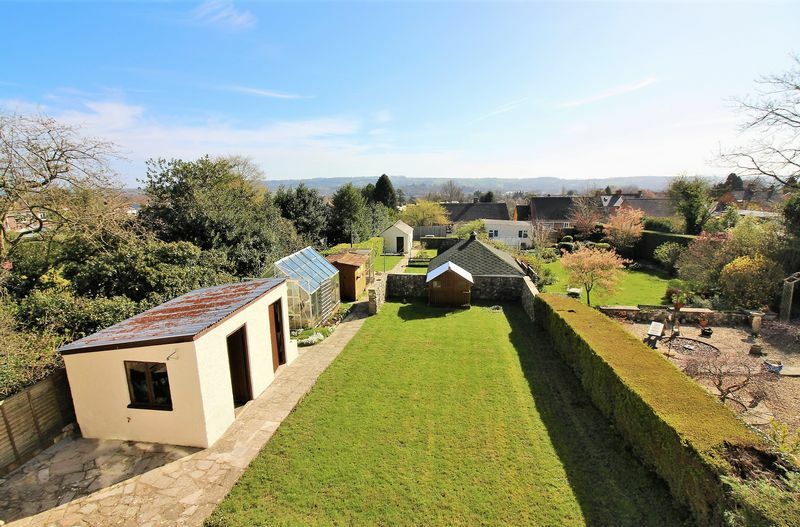 The property stands within extremely good size gardens and enjoys superb views over Chard town and countryside beyond. The front of the property is approached via a pedestrian wrought iron gate heading the footpath leading to the front door. 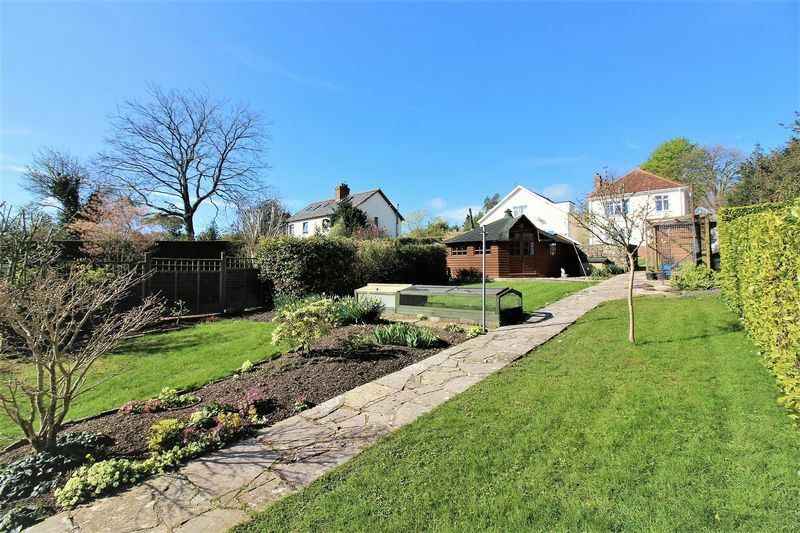 The garden is mainly laid to lawn with a selection of beds and borders filled with an excellent variety of mature low shrubs, plants and small trees. 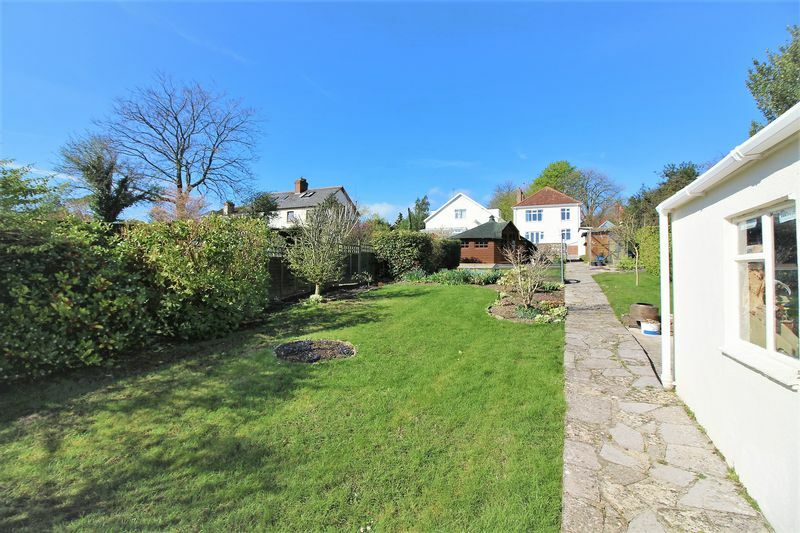 Footpaths to either side of the property give access to: The gently sloping mature rear garden is well kept and extends to approximately 100ft. A paved patio area is accessed via steps down from the dining room doors and leads onwards to three large areas of lawn. 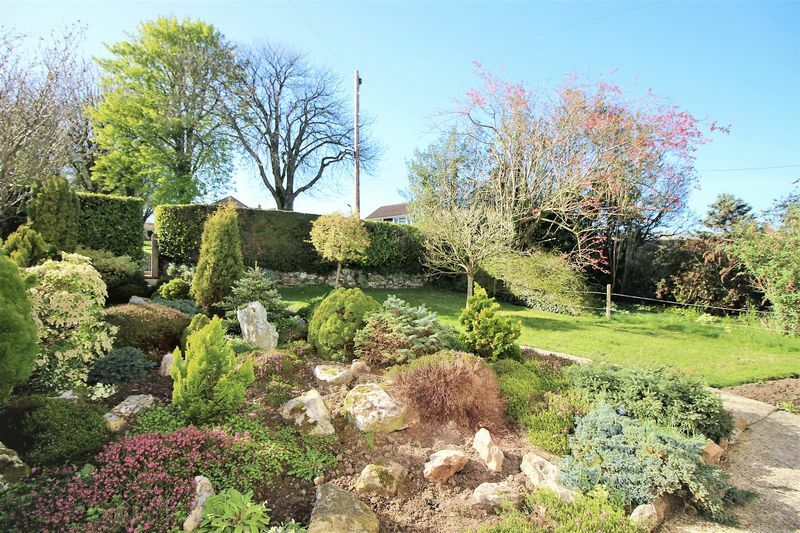 Beds and borders are filled with an established variety of shrubs, hedgerows and trees. 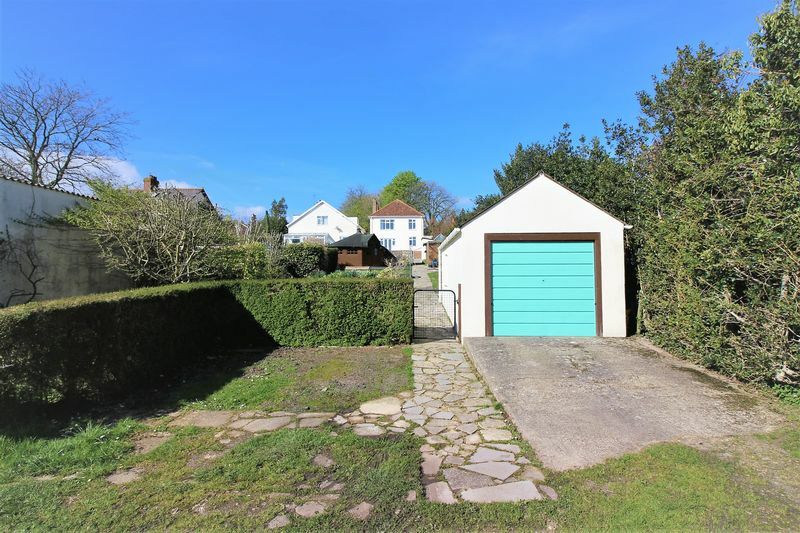 A path runs from the rear aspect of the property to give access to the workshop/store, space for a greenhouse, timber shed and onwards to the garage and off street parking at the rear boundary.